Don’t take on the difficult task of moving overseas yourself – instead, trust the international movers at All Around Moving & Storage. We specialize in all types of overseas moving, but we also offer international moving services for individuals, families, and companies that are moving within North America or its surrounding countries. From packing to loading to transport, you can count on the international movers at All Around Moving and Storage to help guide you through the process of relocating to another country. We take the time to map out specific relocation plans for our customers, and our international moving company handles all of the hard work for you. No matter what type of international moving services you need, including residential movers, apartment movers, or even piano movers, our professionals are standing by to assist you every step of the way. One of the biggest challenges faced by people who are moving overseas is acclimating to their new environments and cultures. As a result, our international movers recommend that you take extensive time before your move getting to know the area in which you’ll be moving. Research the language and customs so that you’ll be acquainted with your new home, and also take a look at the specifics of government and law. You should also set up any utilities transfers well in advance so that you will be sure that all balance or financial transactions have time to go through before moving. If you’re relocating for the military, our military movers can provide you with specific information that may pertain to your unique circumstances. Additionally, our commercial movers and commercial shipping experts can give you additional info regarding the unique circumstances that may surround international moving for business. No matter where you need to relocate across the planet, let our international moving company help. 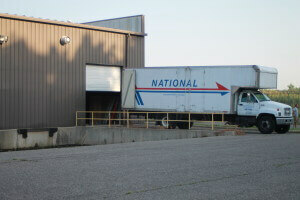 Contact All Around Moving & Storage at 734-941-2280 to see the difference our international movers can make.